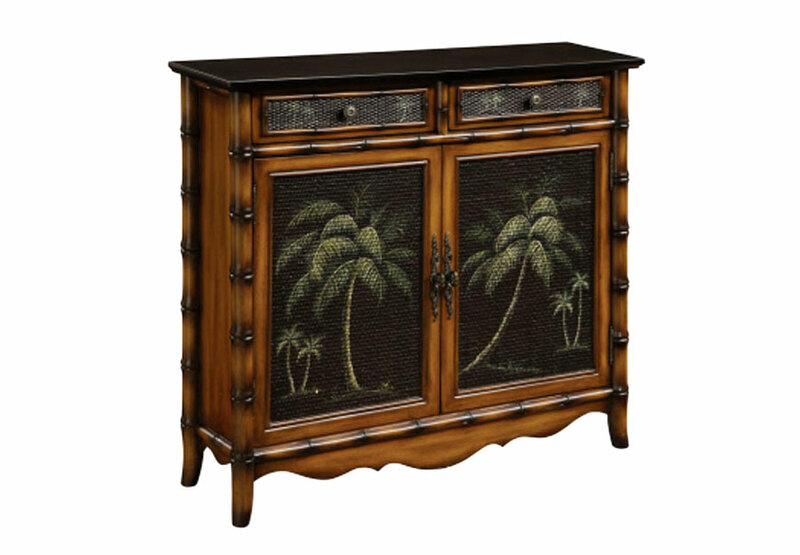 The Coast to Coast 67473 Four Drawer Demilune Chest is studded with remarkable features and looks beautiful with the interiors of any space. 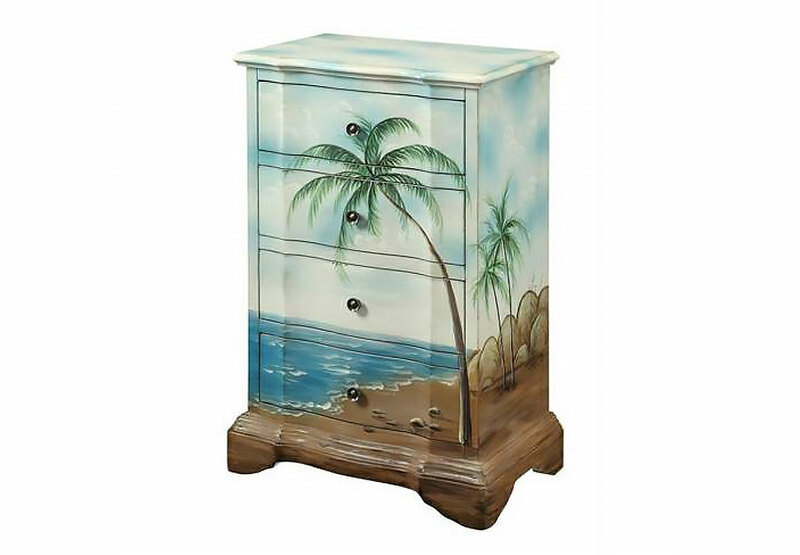 <br />It has a scalloped shaped frame while its four drawers are decorated with starfish accents. 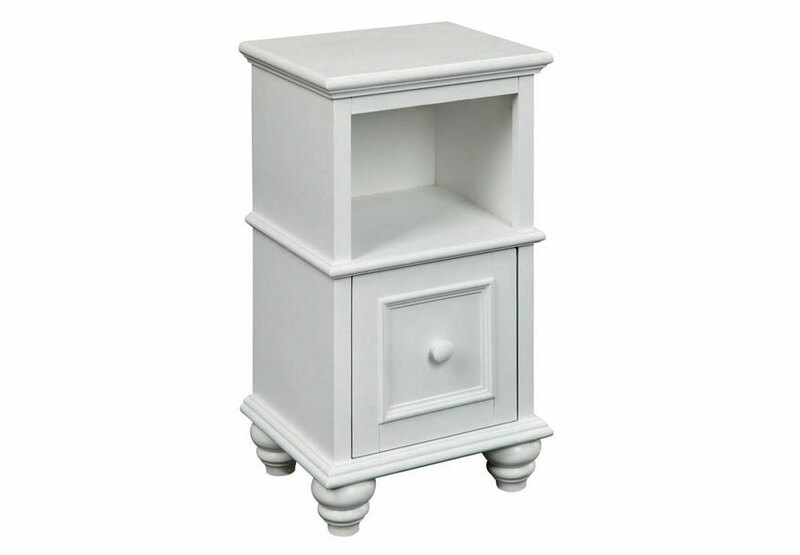 <br />This beautiful Atiu Ivory finish is accented with studded asterisks that are carved artistically.<br />The base has molded details and features Bun feet.